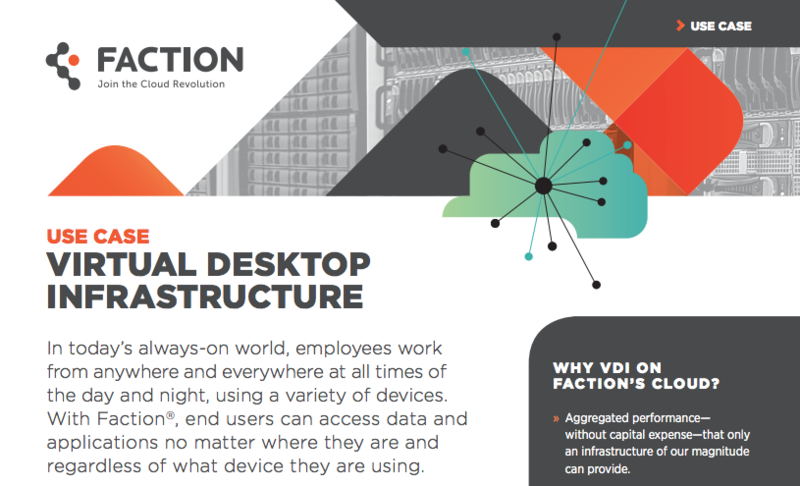 Virtual Desktop Infrastructure | Use Case | Faction Inc. In today’s always-on world, employees work from anywhere and everywhere at all times of the day and night, using a variety of devices. With Faction®, end users can access data and applications no matter where they are and regardless of what device they are using.